Getting the environment just right is crucial if a dental practice is to be the kind of place where patients can feel at ease from the moment they cross the threshold. St Peter’s Lodge couldn’t be further away from the old stereotype of sterile rooms filled with threatening-looking equipment. 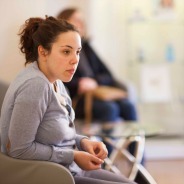 Located on the ground floor of a beautiful Edwardian house in the heart of St Albans, our practice combines exceptional modern amenities with an atmosphere that perfectly complements the warm welcome you’ll receive from our clinicians. Location, of course, is important too. We’re a five minute stroll away from St Albans city centre and the mainline train station, with car parking for patients available right on the premises. Everything about St Peter’s Lodge is customer-focused. Our waiting area – where we’ll always try not to keep you for too long – has pleasant décor and comfortable furnishings. 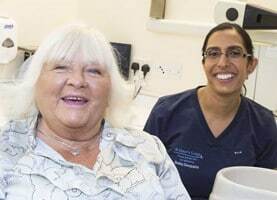 And once you’re inside the surgery, everything is arranged to help put you at your ease, in a rigorously hygienic and welcoming environment that’s built around your needs. A great dental practice, of course, is about more than its surroundings. 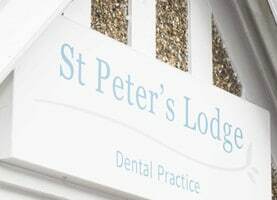 Come and visit us here in St Albans city centre and you’ll find our team – from receptionists and nurses to therapists, hygienists and dentists – looks as professional as our premises. More to the point, this is matched by training to the highest standards and a willingness to listen to the needs and desires of our customers. Ours is a practice where you can always feel free to tell us what you want and expect from us! Getting the atmosphere right is never more crucial than where our youngest patients come to see us. We’re always delighted to see children at St Peter’s Lodge and go out of our way to make sure they feel at ease with us. We also organise educational programmes and fun visits for children so that they grow up with positive perceptions of oral hygiene. 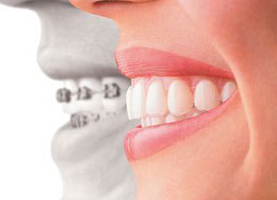 It’s the first step to a lifetime of great oral health and attractive smiles!